Permanent embroidery. No sewing required. 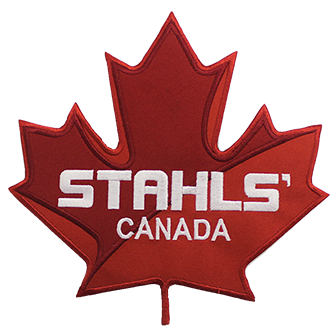 Offer your customers the style and texture of embroidery with affordable, fully finished patches and crests. 1. Enter your company and contact information. 2. Enter the name of the design and size, and answer any questions involving adhesive type, background colour, etc. 3.Click on the "Upload File" button to submit your artwork file. Most orders are processed immediately upon approval of proof. Thus, we cannot accept any changes or add-ons to orders placed. Once the order is received and processing has begun, cancellations will not be accepted. Customers are responsible for all work processed in accordance with any custom order. We cannot accept returns. Please check proof(s) carefully. All approvals are final and modifications cannot be accepted. If your file is large, it may take some time to transfer. Maximum file size is 50 megabytes. You will receive a verification screen when your file has been transferred successfully. To fill the form and request a quote, please click here to log in. Your artwork, , was successfully submitted. You can submit another design or continue shopping. Comments Preheat garment for 10 seconds. Classic worn, rugged patches that become more unique with each washing. Includes flags, scrambled eggs, and more.